Become a true breakfast master. 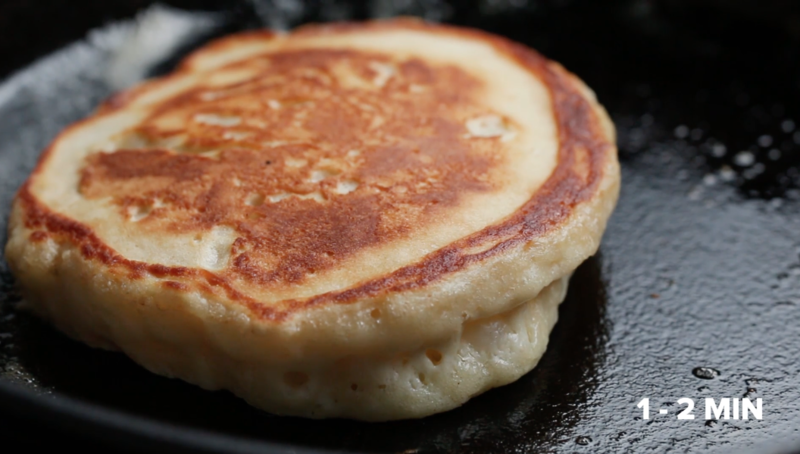 Pancakes are the ultimate breakfast food — but what does it take to make the very best ones? To find out, we experimented with several different recipes, got deep into pancake science, and tried different tips and tricks. 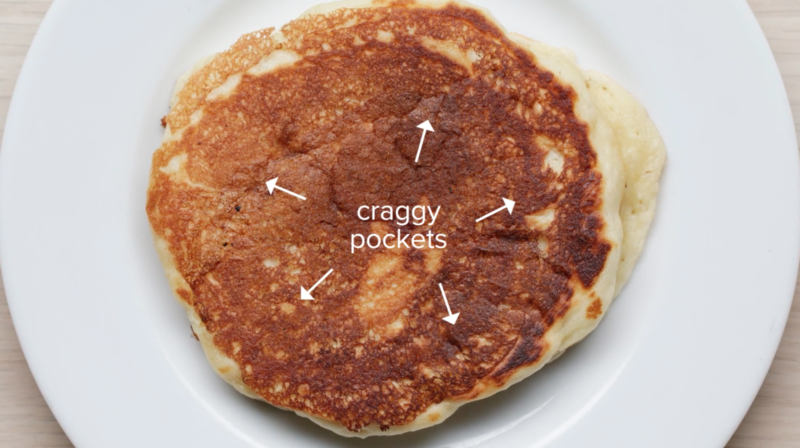 Here's what we found out was crucial to making the best pancakes of your life. You can also find Tasty's Ultimate Pancake Recipe at the bottom of this post. 1. Use the right amount of flour. The amount varies depending on the recipe. If you use too little flour, you'll end up with pancakes that have a great flavor but are really flat. Use too much flour and you'll end up with pancakes that are very thick but dense and taste like, well, flour. After a lot of testing, it was obvious that the sweet spot for light, fluffy, and flavorful pancakes was 2 1/2 cups. 2. Measure the flour using the spoon-and-level method. 3. Use buttermilk instead of regular milk. It'll add a nice tangy flavor to the pancakes and the acidity of the buttermilk will also activate the baking soda and make for extra fluffy pancakes. 4. Or, if you don't have buttermilk, just add a few tablespoons of lemon juice or vinegar to some whole milk and let it stand for five to ten minutes. Once the milk starts to curdle, you can use it just like buttermilk. 5. Use a generous amount of butter in your batter. Don't be shy and really go for it. Sure, one stick of butter is A LOT. But you don't eat pancakes because they're the healthiest thing in the world. You eat them because they're indulgent and taste amazing, and to achieve peak amazingness, you need butter. 6. Add the egg white separately from the egg yolk. If you add the whole egg at once, your pancakes won't be as fluffy as they can be. You should add the egg white separate from the egg yolk, because on its own, the white has different properties than a whole egg. Also: in many recipes, the egg white is beaten into soft peaks before adding it to the batter. After testing it, we found that this is an unnecessary step: You get a result that is just as good if you add the egg white separately without beating it first. Same result with half the effort? Sign me up! 7. This is crucial: Do not overmix your batter. If you overmix it, you'll end up with dense, flat pancakes. Just fold in the ingredients together with a rubber spatula (not a whisk!) and stop. Don't worry if there are a few lumps and tiny pockets of flour leftover. That's fine. 8. Once all the ingredients are folded in, let your batter rest for about 15-30 minutes. This way, all the ingredients will really get to know each other, the gluten will relax, and you'll end up with more tender pancakes. 9. If you can, use a cast iron pan to cook the pancakes. 10. And use butter to cook your pancake instead of oil. In a large bowl, add the flour, sugar, salt, baking powder, and baking soda and whisk to combine. In a medium bowl or liquid measuring cup, add the buttermilk, melted butter, and egg yolks and whisk to combine. Add the buttermilk mixture to the dry ingredients and gently fold with a rubber spatula until just combined. Add the egg whites and fold until just combined. Be sure not to overmix. Some lumps are okay. Let the batter rest for 15-30 minutes at room temperature. Add the butter to a cast iron skillet and heat over medium low heat. Once the butter has melted and is bubbling, reduce the heat to medium-low and add ⅓ cup of batter to the pan. Cook for 2-3 minutes, until bubbles start to appear on the surface. If adding any toppings like chocolate chips or blueberries, sprinkle over the pancake. Flip the pancake over and cook for another 1-2 minutes, until golden brown. Repeat with the remaining batter. Serve the pancakes with butter and maple syrup. Inspired by: Lofty Buttermilk Pancakes on The Kitchn. Find more tips on how to make the perfect buttermilk pancakes here. Video shot by Matthew Ciampa and edited by Oliver Alexander.